Use green candles for an abundance of money. If you're interested in learning more about casting abundance spells, you need to know how long to burn abundance candle spells. Each candle spell requires a different amount of burning time for its candle, so it's best to read through the directions for each specific spell. Candle magic is based on centuries of tradition, on the theory that focusing energy through spells will attract that same energy back towards you. This principle can be illustrated through candle spells for love, in which you send out positive energy and visualization in order to receive a positive result. Candle spells should be used only for good, never to wish bad things to happen to others. Candles used for spells should be new and never lit. Unless the spell itself specifies a certain shape, the candles can be of any size or type. Candle color will play a role in the spell, as each color has a different meaning. If you can't find the right color for the spell you wish to cast, you can use a white candle, which is universal. 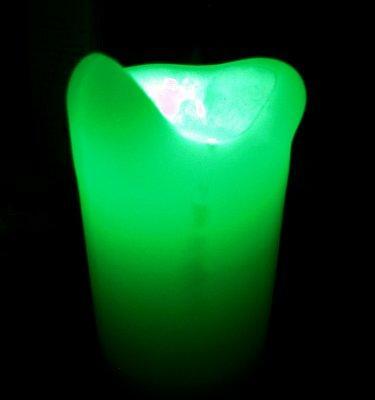 You can use corresponding candle colors, depending on what you are casting the abundance spell for, or use a combination of green and another color. Keep in mind that abundance spells will require active visualization and concentration. Once you light the candle, you should focus all of your energy into visualizing what it is you want. For an abundance of money, you can picture money flowing into your life, or your bank account growing. The length of time you should burn a candle during an abundance candle spell depends on the spell itself. Whatever spell you choose to cast will have a set of guidelines that should be followed, including how long to burn the candle. Sometimes the candle should be lit for a specific period, while other times it should be allowed to burn down and go out on its own. Set a green candle on your altar, or any flat surface. Clear the area of any clutter, and place a coin or dollar bill in front of the candle. Clear your mind, then focus on your desire. Visualize money flowing around you and coming towards you. Light the candle, and state what it is you want. In this case, you can say, "Let an abundance of money stream into my life." Continue to visualize, and concentrate your energy into really seeing the money. Leave the candle lit until it burns out. Candle spells often include more detailed instructions and actions. Here are some things that might be required for casting candle spells. Inscriptions on the candle - Sometimes you'll be asked to inscribe words or symbols into the candle itself before lighting it. Anointing the candle - To anoint a candle, you rub oil into the wax, usually using your fingertips. Oils used for this purpose range from simple vegetable oil to specific essential oils. Chanting - Candle spells often require a chant that you will repeat while visualizing your desires. Burning incense - Scents are sometimes associated with various spells, and burning incense along with the candles can be a way to incorporate this. Candle spells can be very simple in nature, or they can be elaborate and require a lot of attention to the details. No matter what type of candle spell you choose to cast, the most important thing to remember is to clear your mind of distractions and focus on the reason for the spell. The power of concentration and visualization is the main thrust of candle spells.